Before March, only four states had held their primaries and caucuses for the Democratic presidential nomination. But the race took off on Super Tuesday, March 1, when 12 states plus American Samoa held their contests. The pace hasn't slowed much, with four more contests between March 5 and 6, and three more on March 8. The second half of March will bring 11 more primaries and caucuses. Overall, more than half the primary contests to take place happen in March. But the number that matters most concerning who gets the nomination is the delegate count. How many delegates are at stake in March? 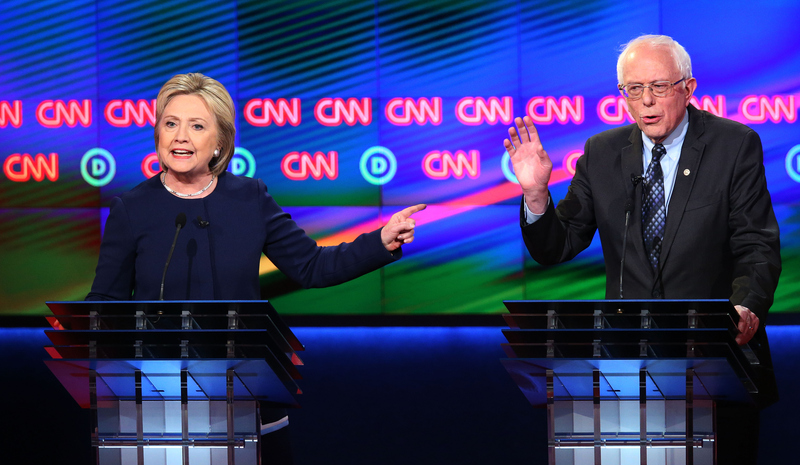 And will this one month determine who the winner of the Democratic nomination is? That brings March to a grand total of 2,146 Democratic delegates — nearly the total of 2,383 needed to clinch the nomination. Of course, neither nominee will have won all the March delegates. As of March 8, Sanders has earned 477 delegates (from February and early March primaries), and Clinton has 673. The only way March could definitively determine the Democratic nominee would be if either candidate gained enough delegates to equal at least 2,383. For Sanders, that would mean gaining 1,906, more than are available in March. Same for Clinton, who needs 1,710 more delegates. Even if one candidate performs well in March, taking a decent majority of the month's delegates, it's important to remember that 2,466 delegates remain to be won after March. That's more than half the total 4,763 delegates to be allotted. It's also important to note the demographics of the states that have voted and those yet to vote. Super Tuesday, which accounted for nearly one-third of March's delegates, featured several states with black populations much larger than in most other parts of the country; about 8 in 10 black voters supported Clinton, according to USA Today, and support among white voters was split fairly evenly between the candidates. If Clinton emerges from March with a solid delegate lead, changing demographics in the races up ahead could chip away at that lead. Or not. We just don't know. March certainly has a lot of Democratic delegates to go around, and with elections being held at least once a week, it's easy to get swept up in state-by-state, contest-by-contest numbers. But one day, one contest, and one month cannot determine the Democratic nominee — at least, not at this point in the race.